The Renmark Rose Festival Ambassador is a highly regarded position within the Festival. Introduced in 2015, the role carries the responsibility of promoting the festival, whilst raising funds for an individually selected charity. The Ambassador program begins recruiting ‘budding ambassadors’ in February with hopefuls selected by June and published in the festival’s program. From here, Ambassadors help arrange events, raise funds and promote the festival for the year in preparation for the official 10-day festival in October. 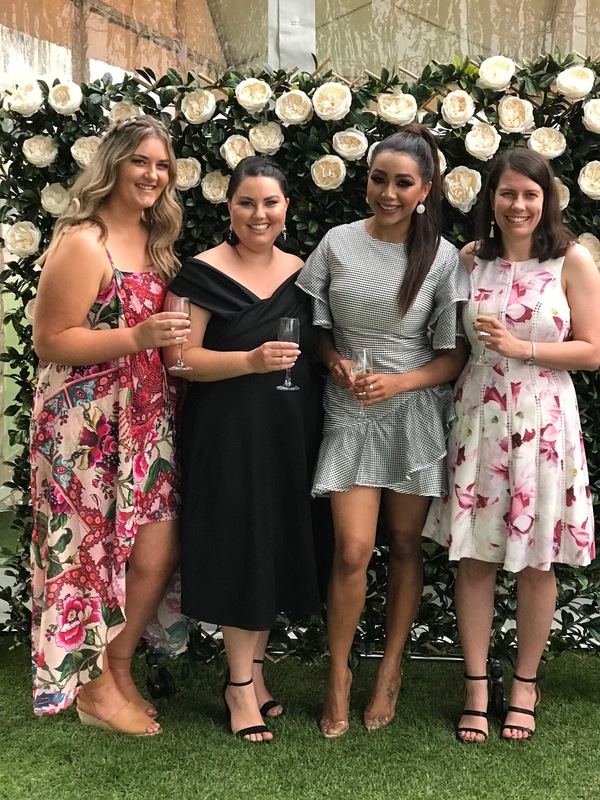 On the final Saturday of the 10-day festival, a gala dinner night is held, which is the most prestigious and widely-attended event of the Renmark Rose Festival. It is here that the most outstanding ambassador is awarded the honour of the years’ ambassador. It’s a competitive, fun and engaging program, which is hoped to provide you with career and personal development opportunities, event management skills, new friendships, community involvement and the ability to raise as much money as you can for a charity of your choice. The Ambassador side of the program is in its infancy but we hope you’ll join us grow the festival as we celebrate our 5th birthday in 2019. Still got questions? 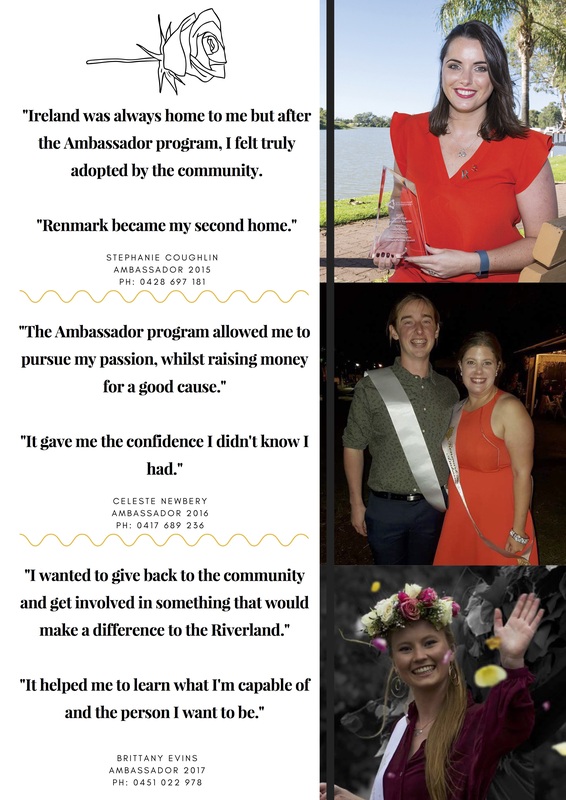 Check out our Renmark Rose Festival official ambassador guide.